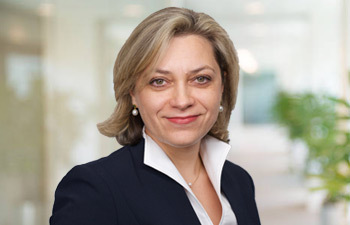 Victoria Fox is a Managing Director whose responsibilities include implementation and management of the firm’s operations, technology and human resources activities. She additionally handles various finance and treasury functions at the Company. Victoria joined Sentinel in 2005 and previously managed Sentinel’s finance (including treasury management), property management and lease administration activities. Prior to joining Sentinel, Victoria was an Assistant Property Manager at RFR Realty and spent 8 years at the US Embassy in Kiev, Ukraine managing residential and commercials leasing and acquisitions on Embassy’s’ behalf. Victoria earned her Masters of Arts degree from Kiev State Linguistic University and an MBA from Stern Business School at NYU.